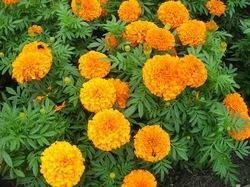 We are the Direct Manufacturer and Supplier Of Marigold flowers From Tamilnadu in India. The Harvesting and Cleaning Process are very Carefull and Eco-Friendly method. We are always ready to Deliver the customer needed packing technology upto date. The company has stood tall as a Manufacturer, Exporter & Supplier of Hibiscus Rosa Sinensis. The Hibiscus Rosa Sinensis Plants are demanded by various clients across the globe and the company ensures the timely order deliveries. The company offers the Hibiscus Rosa Sinensis Plants at the best prices with a guarantee of transit safety. 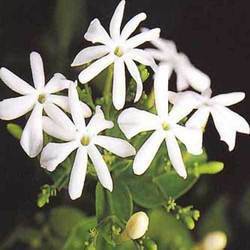 Jasmine is a sweet smelling plant that is renowned for its ornamental beauty and distinctive fragrance. Jasmine is also used frequently in making tea, syrup and essential oils. Jasmine Attar has a deep, fruity and complex aroma with rich tones of sweet Jasmine and sandalwood. Having a wonderfully seductive scent, the Attar is made from the flower part of Jasmine plant known as “The King of Flowers through steam distillation method. We are a renowned as Jasmine Flowers Exporter in Tamil Nadu, India. We are exporting and supplying an far-reaching collection of Roses which are procured from the certified cultivator of who grows these roses under favorable climatic condition. These white roses are extensively used for decoration purposes. Furthermore, these roses are packed with special packaging material in order to retain their freshness for longer period of time. Stem Length varies from 40 cm to 100cm. We are cultivating it in our farm, using natural organic fertilizers, this plant has got tremendus medicinal properties, perfumed nature of fresh lavender flowers are used in recepies.